Helps prevent build-up of film, residue and natural contaminants. 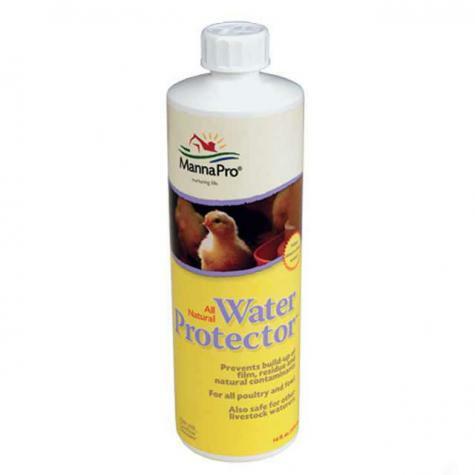 An all natural additive for all forms of poultry and livestock water systems. Change your birds' water daily. Prior to use, clean drinker, fountain or waterer inside and out making sure surfaces are thoroughly rinsed clean of all residue. After refilling with water, add Water Protector at a rate of 7 capfuls per gallon of drinking water. Effective for use in plastic, galvanized and heated waterers. Keep out of reach of children. The contents of this bottle are highly concentrated. In case of eye contact, rinse with water. Should any irritation occur, seek medical attention. Do not ingest. Use only as directed. 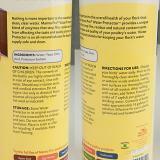 Buyer assumes all responsibility when not used as indicated on the label. Free-standing waterer designed for waterfowl. Large access holes provide fresh and clean water by keeping out most ducks, geese, turkeys, chickens & pigeons. Provides constant water by connecting a garden hose. 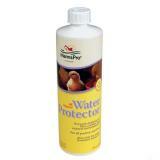 Use to water small groups of rams, billies, show sheep, orphan lambs or goat kids and poultry.